Cockroaches are one of the yuckiest and most detested insects (well for me anyway) to invade your home. They poo while spreading disease and bad bacteria onto every surface. Plus, once they get in, it’s hard to get them out. The trick is to not let them get comfortable in your home in the first place. Of course, there are pest control experts that can come in with toxic chemicals to kill the roaches. But those chemicals aren’t good for you, your kids, or your pets. The better option is to use natural ways to get rid of cockroaches at home once and for all. Below are some home remedies to get rid of cockroaches and stop them invading your home. The best part about these repellents (apart from getting rid of cockroaches) is they are toxin free and readily available. Let’s take a look. Catnip, a popular herb that cats love, is a perennial plant with a minty smell. It’s excellent for repelling insects like mosquitoes AND cockroaches. One study concluded that the essential oils in catnip were very effective at repelling cockroaches. In fact, they were actually found to be more effective than DEET in repellent activity. Also known as catmint, catnip is a member of the mint family. 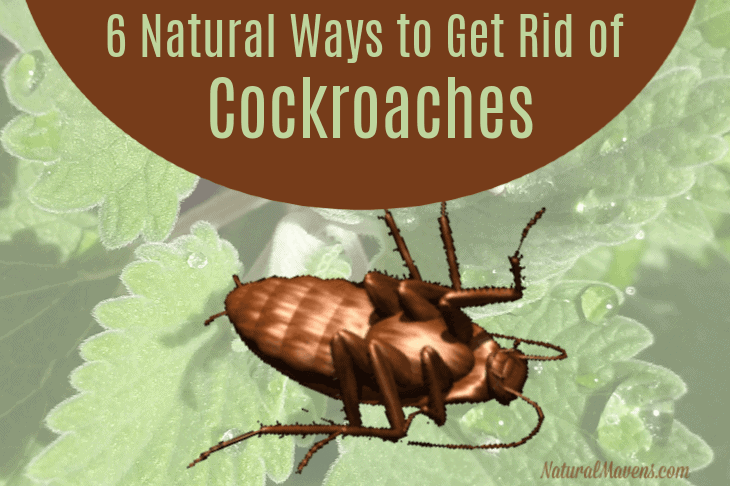 Get some growing in the garden or a pot and try it one of these ways to repel cockroaches. Use the leaves fresh or dried, placing them throughout your home. Soak catnip leaves in hot water to make a strong tea, and pour into a spray bottle. Spray into areas where you’ve spotted roaches. Add catnip essential oil to a homemade or store-bought, bug repellent spray that contains other essential oils. Use it to spray affected areas. Buy catnip essential oil here. Create a vinegar based repellent spray. Combine two parts water with one part white vinegar plus 5 drops of peppermint oil and 5 drops of catnip oil. Sew together small sachets of catnip leaves and place them around your home to repel roaches. 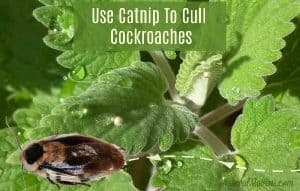 Catnip doesn’t actually kill the roaches but it will prevent them from coming back after you’ve gotten rid of them by other means. anywhere food and pet food is stored. Catnip is great, but if you want some other methods to control cockroaches, give these a try. Bay leaves contain a compound called eucalyptol that repels roaches and other insects. Put fresh bay leaves around your kitchen and behind appliances. You can also grind up dry bay leaves and sprinkle it anywhere cockroaches are seen. Rosemary can be used fresh to repel roaches. Place 2 to 3 sprigs of rosemary around the house where roaches are likely to be. Cinnamon essential oil is toxic to adult roach females and the small and large nymphs. Use it to wipe out cupboards, around skirting boards and wherever cockroaches lurk. Cypress, peppermint and tea tree essential oils are all good for repelling roaches when used in a spray. Add the oils to a spray bottle along with distilled water and spray where needed. Eucalyptus oil inhibits the development of juvenile roaches and also repels adults. Use it neat with a special cloth (it is hard to remove the scent of eucalyptus). Wipe garbage bins, cupboards and under the sink with the oil. The best defense against cockroaches is to keep everything clean and discard cardboard (roaches love cardboard!). Then, spray often with catnip to keep roaches from entering your home in the first place. Following this, use any of the natural repellents above and keep cockroaches away for good.